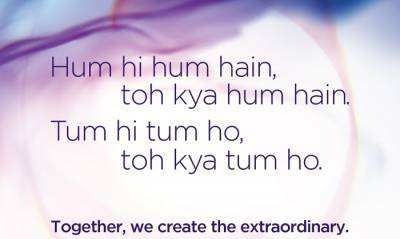 In keeping with its new corporate ideology of ‘Extraordinary Together’, Zee Entertainment Enterprises Ltd (ZEEL) has carried out a campaign expressing its gratitude to its peers for their contribution in making the media & entertainment industry, truly extraordinary. In its full-page advertisements in national dailies, ZEE unveiled its new corporate ideology – ‘Extraordinary Together’ – and gave prominent mention to industry players, including Sony Pictures, Sun TV, Viacom18 and Star India. The campaign stems from the belief of Punit Goenka, MD & CEO, Zee Entertainment, that the evolution of the Indian entertainment industry since the launch of India’s private satellite television channel, Zee TV, 25 years ago is the result of the collective success of the industry and not one company alone. This gesture of goodwill by Zee was also reciprocated by Viacom18, Star India, Sun TV, showcasing their commitment to the greater M&E cause and good gestures are always appreciated. Punit Goenka tweeted an ode to his peers on Zee completing 25 years, quoting poetry written by Sarshar Sailani, which says “Hum hi hum hain, to kya hum hain. 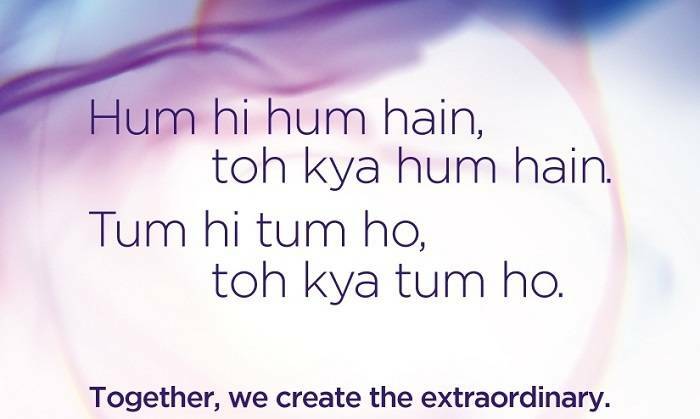 Tum hi tum ho, tohkya tum ho”, highlighting the power of being extraordinary together. Industry stalwarts such as SudhanshuVats, Group CEO, ‎Viacom18; Avinash Kaul, President, TV18; Gaurav Gandhi, COO, Viacom18; Viral Jani, ‎Head - Entertainment & TV Partnerships, Twitter India; and Mandvi Sharma, ex-publicist to Shah Rukh Khan, highly appreciated the gesture and expressed their support in joining the forces. Actor Rohit Roy, movie director Kunal Kohli, film exhibitor Akshaye Rathi, too, joined in congratulating ZEE for this historic run. Eminent industry experts, including music composer & singer Ankit Tiwari; actor/ columnist Neelima Rani; Matrix partners Tarun Davda; Pradeep Dwivedi, CEO, Sakal Media; and Rishi Jaitly, CEO, Times Internet, also joined in congratulating Goenka on this milestone occasion. ZEE also thanked its viewers who have immensely supported the Group and have been a continuous source of support without whom the journey would remain incomplete. The #ExtraordinaryTogether campaign has already reached 14 million people on Twitter (Source: Sysomos) through the conversations generated and reached over a million households through print publications. The new brand ideology of ‘Extraordinary Together’ will transcend across genres and platforms to inspire ZEE to go beyond and create innovative disruption in the world of media and entertainment. This heartfelt gesture on behalf of ZEE also marks the beginning of the next phase of industry evolution in the country together as “Extraordinary”.